Mold is a fungus that can grow almost anywhere and reproduces by creating spores. While mold grows best in damp, warm, and humid environments, mold spores can survive in harsh environments as well. It’s not always easy to detect mold, but here are some signs of mold in your home that may mean you need to take action. Some individuals who are exposed to mold will develop physical health issues. If you’re allergic to mold, you may experience a sore throat, nasal congestion, wheezing, sinus headaches, itchy skin, and red, irritated eyes. If you have asthma, you may have more asthma attacks when mold is present in your home. Oftentimes, if you are allergic to mold and it is present in your home, you’ll feel better when you’re away from home than you do when you’re at home. Individuals with compromised immune systems are at risk for developing infections due to mold. One of the signs of mold in your home is a musty scent. Not all molds smell, but many do. According to Health.com, the mold odor is a result of microbial volatile organic compounds. Molds naturally create microbial volatile organic compounds as they reproduce and grow. Seeing mold in your home seems like a clear sign that you have mold, but it can easily be mistaken for dirt. Different types of mold have different appearances. Some molds look white and thread-like. Other types of mold may look like small black spots that form clusters. Mold might look purple, pink, or orange if it grows behind wallpaper or vinyl. Mold can also be black, gray-brown, or gray-green. Water leaks are another one of the signs of mold in your home. Mold loves to grow in moist places, so look around the water leak in your home to check for mold. If the mold is hidden behind a wall, it may be difficult to find. If you know you have a water leak in your home, get it fixed as soon as possible. 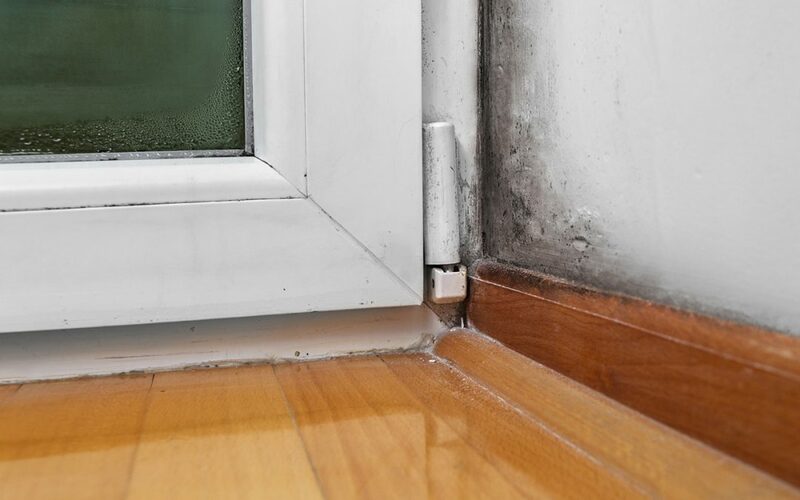 If you notice you have a lot of condensation on your glass windows or metal pipes, it may lead to a mold problem. A place where moisture accumulates makes the perfect breeding ground for mold in your home. If you notice these signs of mold in your home, do some investigating to find out if you have it and where it is. Getting mold treated promptly is important, as mold can affect your health. It’s always a good idea to hire a professional mold inspector to identify mold throughout your home. Certified inspectors are trained to find and evaluate mold growth and use special tools to effectively pinpoint mold. The inspector can also make recommendations on how to address any discovered mold issues. 360 Inspections provides mold inspections and other inspection services to the Bay Area and Central Valley of California. To schedule your mold inspection or other services, contact us today.